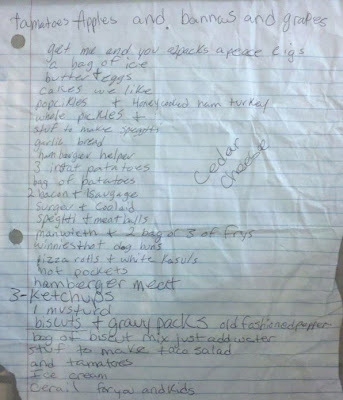 Now, one look at this list and I would think it was one of my brothers. They were not always the best with grammar and spelling but I know them mother fuckers know how to at least spell cereal. 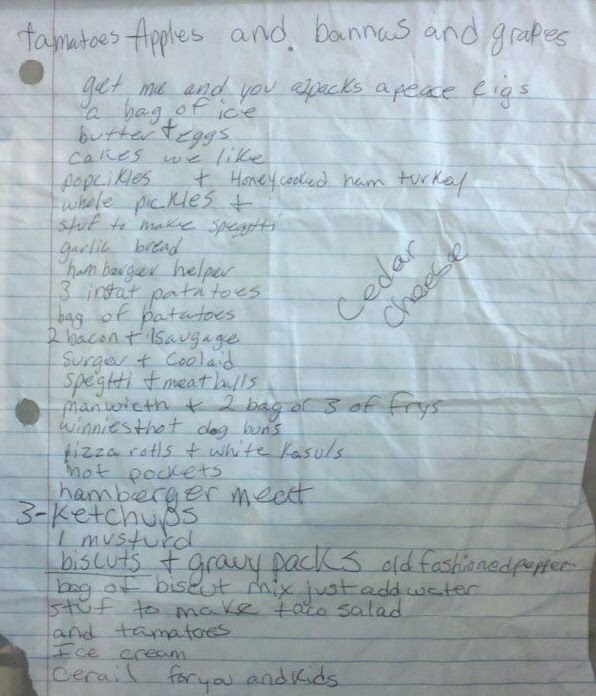 Besides the total randomness of this list, I think my favorite part is the "popcikles + honey cooked ham turkey". It must be a southern thing - honey cooked ham turkey.